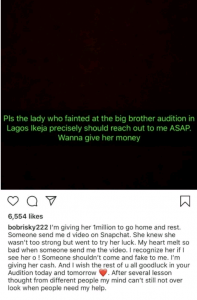 Popular Nigeria crossdresser, Bobrisky has waded in on the BBNaija audition drama, offering to give a million naira to the lady who fainted. 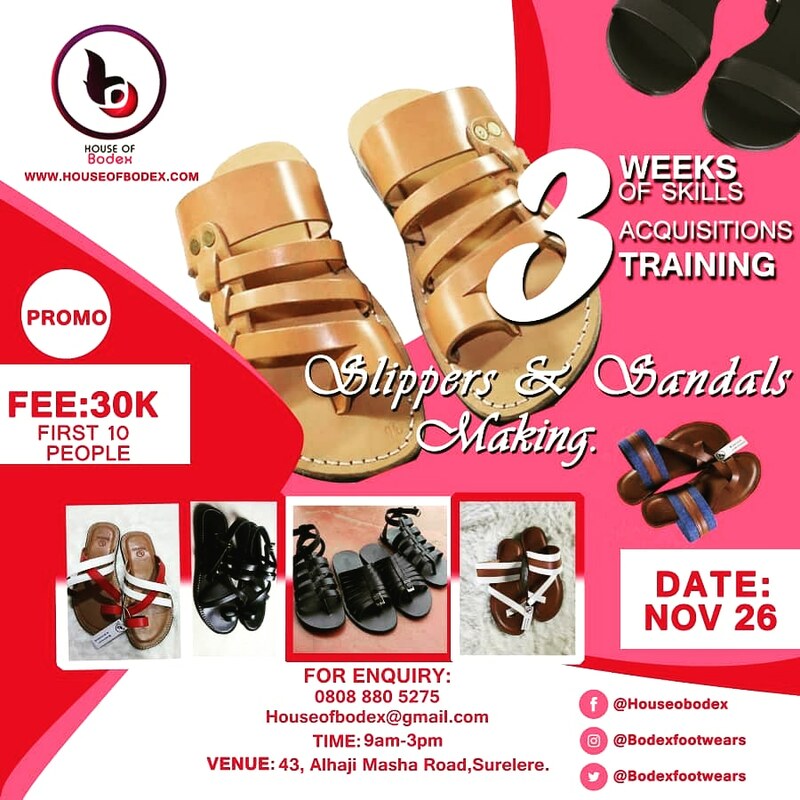 It was earlier reported that about the several dramas trailing the auditioning of aspirants, amidst which was a case of a lady trailing the wall and also that of man who fainted. Later in the day, it was gathered that another lady fainted due to the long queue and accumulated stress. Following the report about the lady, the Instagram sensation promised to give her the sum of N1million. After he made this declaration his promise immediately went viral online as people held him to his words. On his page, he wrote that the individual who had been knocked down by fatigue and nausea at the BBNaija audition centre should reach out to him urgently as he intended to give her money.